The Formula One driver won his fifth world championship title at the Mexican Grand Prix last month. 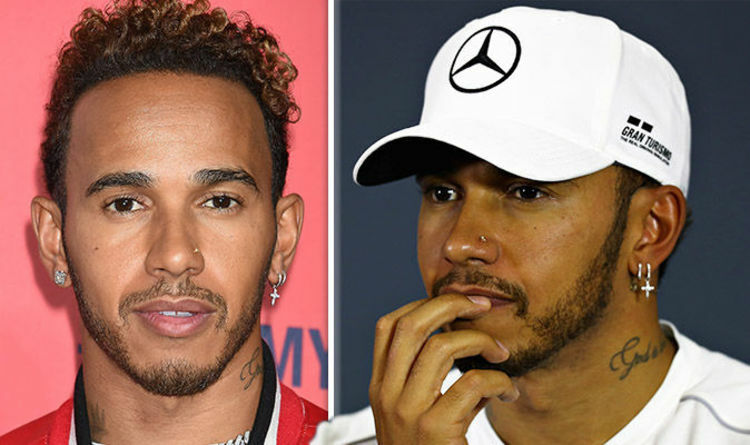 And ahead of the Brazilian Grand Prix this weekend, Lewis Hamilton, 33, attempted to spread “positive vibes” amongst his fans as he spoke of the “next chapter”. The star uploaded a photo of himself smiling away whilst wearing items of clothing from his Tommy Hilfer collaboration range. His eight million followers were divided by his caption with some wondering whether the star is set to have a career change. However, others were thrilled for Lewis and admitted they’re looking forward to what he has in store. One excited fan wrote: “So excited to be part of your new adventures… Here’s to new paragraphs, chapters and books! !#blessed up!! Meanwhile, Lewis may have other things on his mind as it’s been rumoured the star is dating Nicki Minaj. The two recently enjoyed a holiday to Dubai together in September and uploaded images from their sun-soaked getaway to their Instagram accounts. And it seems Lewis is still fond of the US rapper as he liked a number of Nicki’s racy Instagram pictures this week. In one snap from the MTV EMA awards, the star showed off her jaw-dropping physique in a silver glitzy frock. Nicki’s Versace gown clung to her eye-popping curves and put her ample bust on full display. The incredible number also boasted sizzling thigh-slits, allowed the star to show off her shapely pins. In another snap, the bombshell gave a sultry pose to the camera while holding up a mask to her face. Her sizzling post, which was shared to her 94.6 million fans, garnered almost one million likes in just two days.